The Brunswick community paused on Veterans Day to honor and celebrate the service of all U.S. military veterans. Students began the day, which also marked the 100th anniversary of the end of World War I, by watching a video tribute recognizing the service of many ’Wick alumni and members of the faculty. 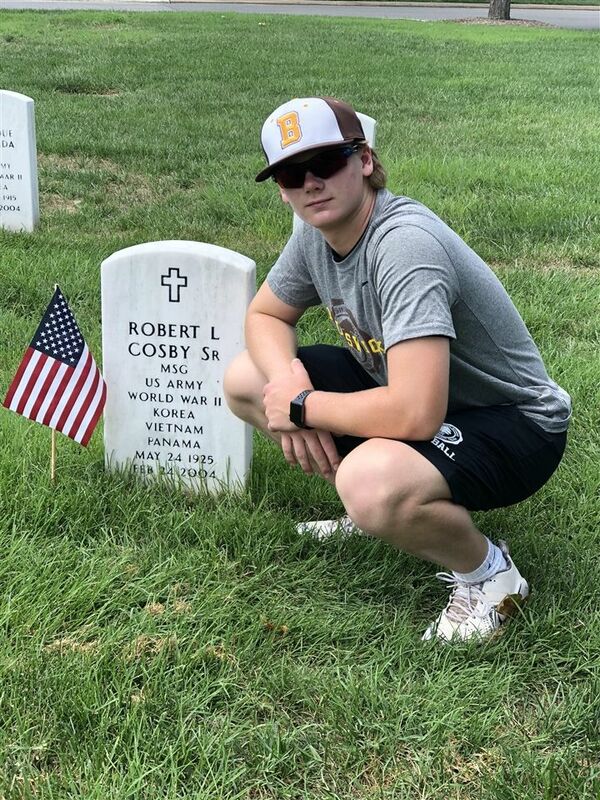 For one Brunswick sophomore in particular, Danny Lauter, Veterans Day allowed him the chance to reflect and honor the service of Robert L. Cosby, whose gravesite he visited at Arlington National Cemetery this past summer.